Going to Japan last month was a huge bucket-list deal for me and I want to document the experience as best I can. 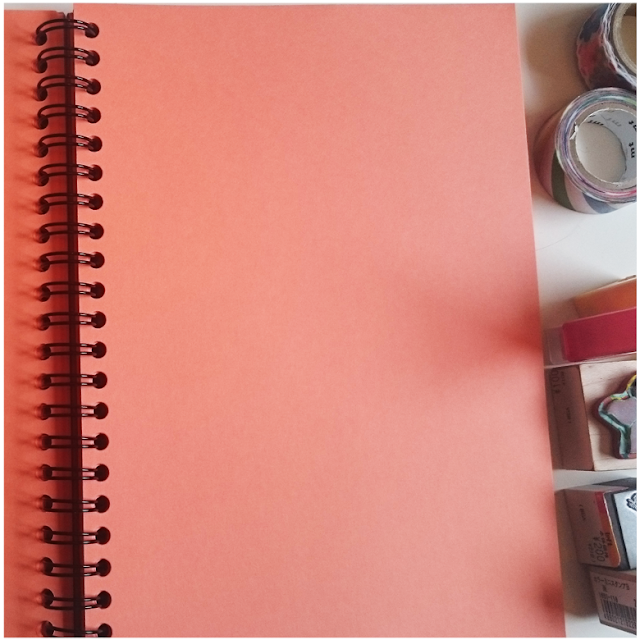 I am always super envious of organised people who write about their experiences, create photo albums and note down every detail. As a creative person, I knew that one of the things I would love the most about Japan would be their attitude to crafts. LOFT was my absolute, complete favourite and I think everything featured in this post came from there! 1 & 2: Wherever I go in the world, I buy a copy of Elle & Vogue magazine. I have a growing collection which is such a nightmare to store and to move but, it's the only thing I really collect and I quite like the tradition of it. The coolest thing about these is that they open backwards to western magazines! 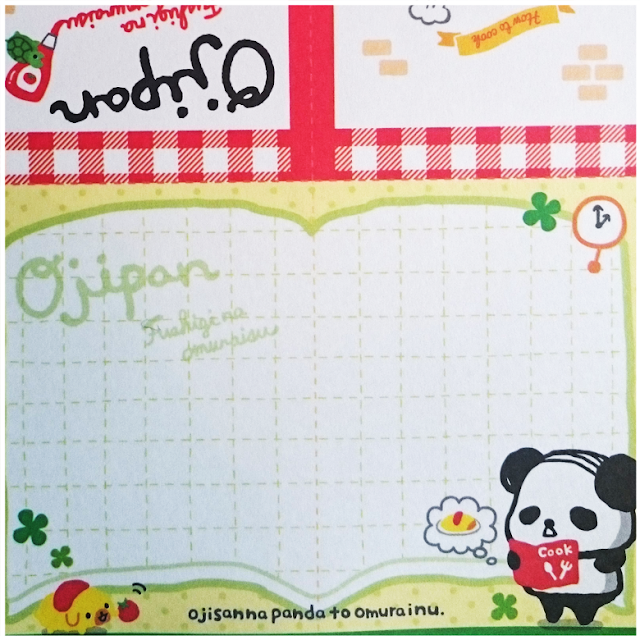 3: The middle aged panda was one of my favorite cartoon discoveries whilst we were in Tokyo! He has a comb over and everything! Ahh! 4. I had been using basically scraps of paper before I went to Japan because I knew that I would find the nicest notebooks there and I wasn't disappointed. I'm not too sure what to use this absolute beauty for, it seems too nice to take to work! But the fact that it has yellow paper and then dotted paper just makes my life. I also love the small size and just everything there is to love about a notebook - it ticks all the boxes for me! 5. Ah, washi tapes and stamps.... 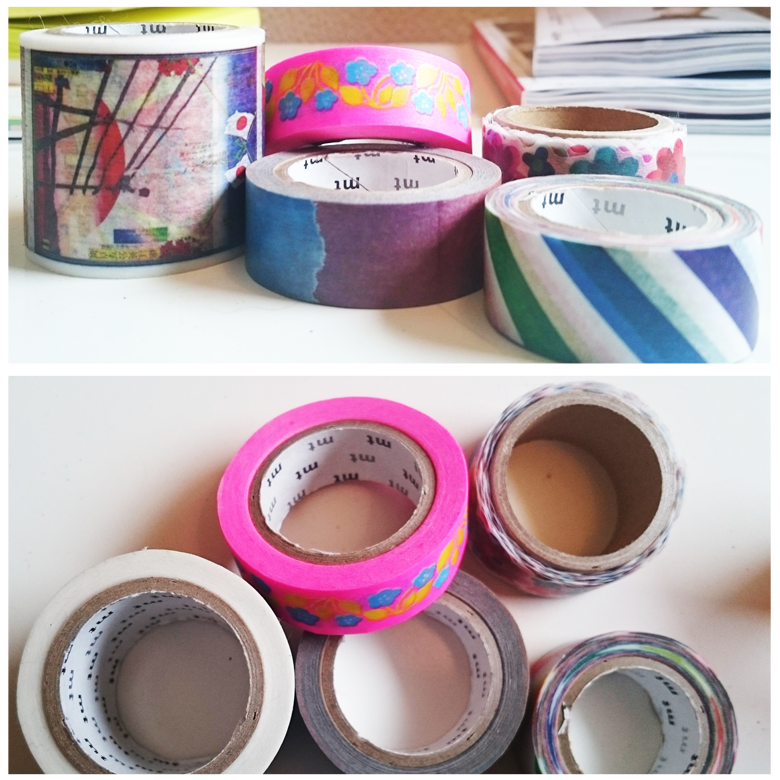 I think that all my friends think I am insane for getting so excited over masking tape but IT IS AMAZING... right?! 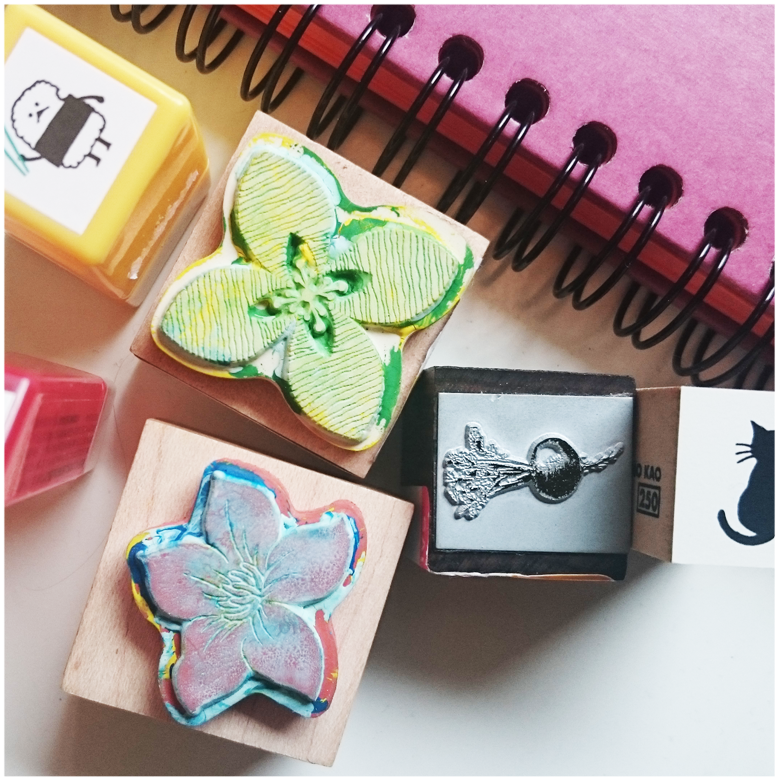 The colours, the patterns, the different edges... and then the stamps. Ok, I wanted to get a classic Japanese one - hello sushi man ;) and the others I just kinda found.. the cat was an obvious winner as was the strawberry and the flowers but I'm not too sure what came over me with the radish stamp! This is what japan will do to you people! You think you're a normal, functioning person and then you realise you just cannot leave until you own a small radish stamp. 6. 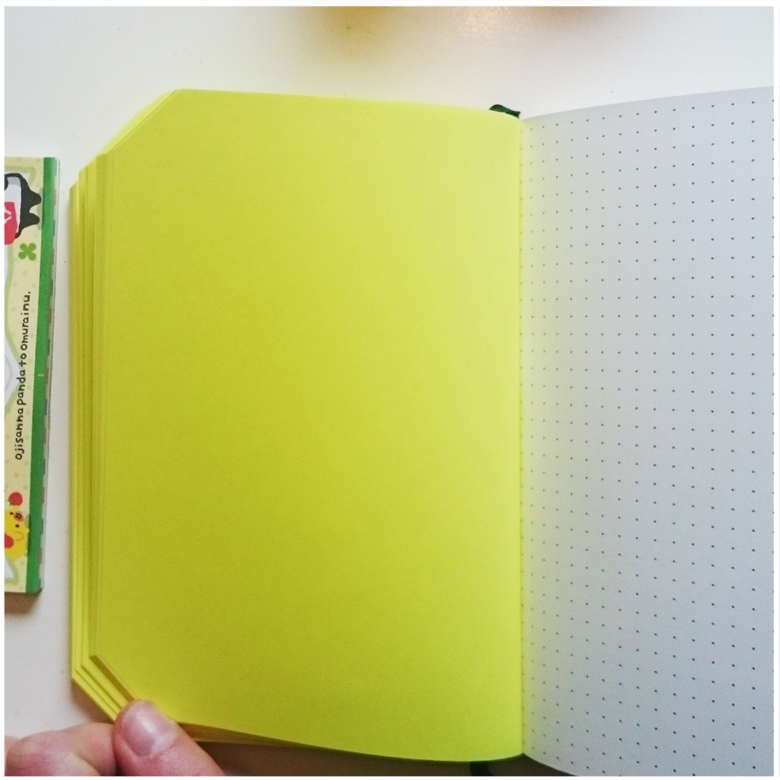 The nicest notebook ever. Fact. so I loved it straight from the start. It also is the softest paper ever, writing on it is a dream. she will be blogging about her Copenhagen craft haul that she picked up a few years ago so give her post a read ........! And let me know if you want to see more Japanese posts!! Ah Japan has my heart. I love that notebook with the yellow pages. And also the orange one (I didn't know colored page made it easier for you to read).